Australia Post has entered into an agreement for the relocation of its headquarters office accommodation to the Southern Cross West Tower, 111 Bourke Street Melbourne. The agreement with the property owners, was finalised last week and will provide Australia Post with an ‘A Grade’ building of nearly 44,000 sq.m NLA over 20 levels, with up to 400 basement car spaces. 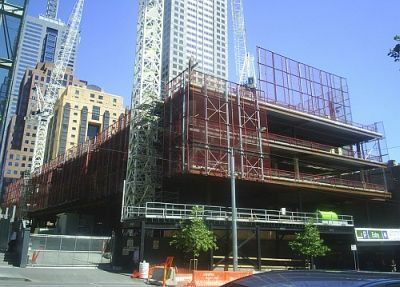 Australia Post will be the sole occupant of the commercial component of the new West Tower, which will also see the completion of the retail plaza and laneway areas that link this new building to the East Tower. Australia Post Group Manager - Corporate Real Estate, Adam Treffry, said that the company had considered development of their own site at Spencer Street, as well as a number of other leasing options. 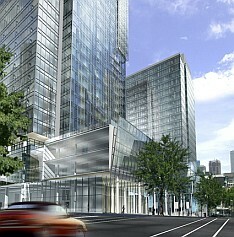 The Southern Cross site is jointly owned by Multiplex Group, Baron Corporation and Babcock and Brown. It will be constructed by Multiplex Constructions and will be ready for occupancy late in 2009, - as Australia Post’s current lease arrangements expire in early 2010. Significantly, the building will deliver Australia Post a 5 star Green star ESD building, which includes a Black Water recycling plant. The Owners’ commitment to ESD issues was a major factor in Australia Post’s decision to relocate to the Southern Cross site.